Full name Blue...born in Jockey, IN...attended Stable School in Jockey, IN...lettered in football, track, driving, wrestling and interpretive dance...resides in Lucas Oil Stadium. Blue has a long history of awesomeness and ground-breaking humor. In fifth grade, Blue won a break dancing contest at a local church in Jockey, but now rules the vast kingdom of Indianapolis with his glamourous looks and charming wit. This funny furball prefers Velcro to lace-up shoes, has a soft spot for kittens, and refuses to walk long distances. 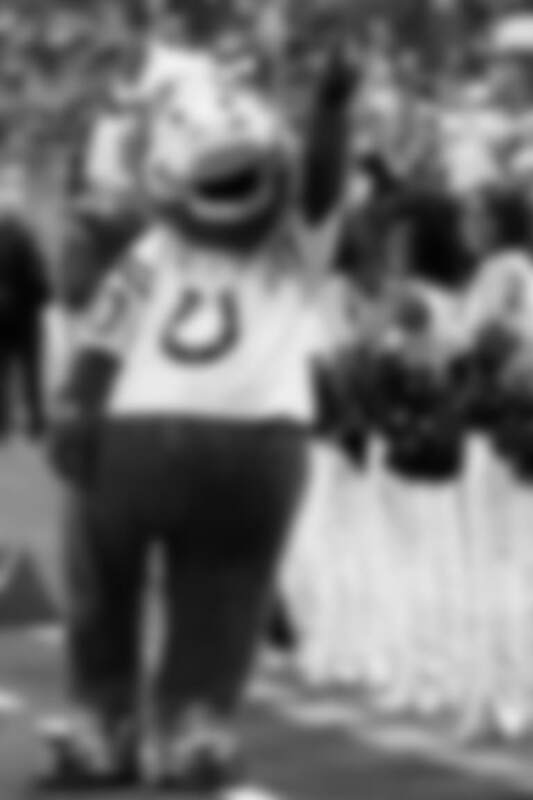 As long as there are Colts fans, Blue will be found roaming the sidelines shaking his groove thing. Beat John Andretti in the 2007 Race for Riley Kart Championship and beat Boomer (the Official mascot for the Indiana Pacers) in 2008.